Grasshoppers are one the most common insects we come across in our everyday lives, but unlike other insects, most of us don't really understand the purpose of the grasshopper and its role in the ecosystem. Rather than simply hopping around with no real purpose, the grasshopper we all know is actually a critical part of the ecosystem it inhabits. 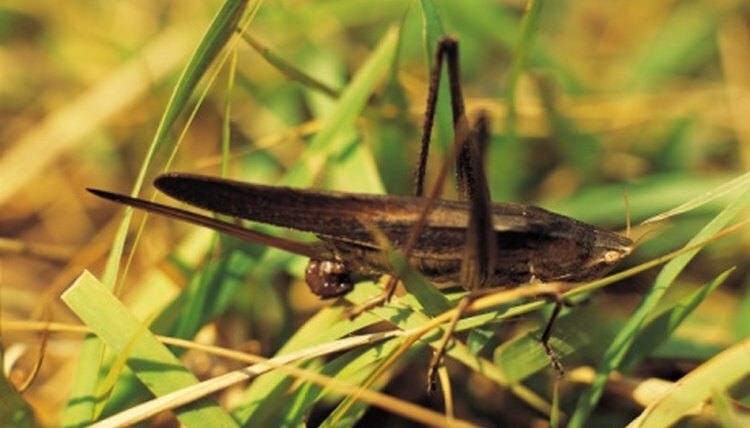 One of the grasshopper's main roles is fertilizing the soil with its droppings. With grasshoppers consuming up to two times their weight a day in food, grasshopper droppings are an essential source of broken down vitamins that contribute directly to soil fertility. The grasshopper could be called the very base of the food chain in its ecosystem due to the wide array of secondary consumers (predators) that use it as a staple food source. Animals like these include birds, mice and other arthropods (other predatory insects). Without the grasshopper to supply the energy needed for these secondary consumers, the entire food web that the grasshopper is a part of would collapse due to its important role. Another of the grasshopper's role is managing the plant population that it feeds on. Acting as a natural counterbalance, grasshoppers eat through any excess weed plants that may upset an ecosystem's foliage balance. However, this same mechanism also takes place to harmful effect in farm fields where one plant (the crops) is the dominate species and grasshoppers feed upon it. The death and molting (the process of getting a new exoskeleton) of a grasshopper provides extremely valuable minerals that can be naturally returned to the soil once the grasshopper molts or dies. These minerals would normally remain locked into the grasshopper's exoskeleton armor, but with its death or molting, they become available for breakdown by plants rooted in the soil. Seth Zawila began writing professionally online in 2011. His articles specialize in outdoor camping and fishing, history, politics and travel. Currently studying at University of California, Berkeley, Zawila counts editorial writing as one of his favorite pastimes.